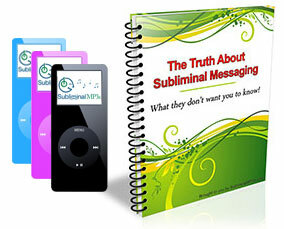 Attract money into your life and live in abundance and prosperity with help from this one of a kind subliminal messaging album. Imagine how your life would change if you were financially secure and never had to worry about money again! If financial freedom was your reality and you were free from troubling worries about money forever! You can make this happen, you don't have to struggle with money forever - if you really want to change and work towards something better for yourself. Are you dedicated to changing yourself - you mind, belief systems and patterns of thinking? Would you do anything to improve your life and achieve financial freedom? Are you really one of the 2% who will make the effort and break free? If you are then our subliminal audio can help you. As suggested above it is not 100% effortless - it still requires you take action yourself and won't do all the work for you, but it will transform your mind and deepest thoughts and beliefs to make you more likely to succeed with your money manifestation efforts. The law of attraction states that "Whatever we think about we attract into our lives". This album will make you focus on money more than ever - penetrating deep into your subconscious mind. If you only consciously think about attracting wealth into your reality and neglect your subconscious mind then you will only achieve an average result (at best), and this is why most people fail. There will be negative thoughts and limiting beliefs about your ability to use attract wealth rooted deep within your subconscious mind which hold you back from really attracting abundance and the lifestyle you dream of. You will believe in the law of attraction and that you can use it to bring money into your life. You will be more motivated and driven than ever before to take action and physically draw money to you. Destroy any negative thoughts within your mind so that nothing can hold you back from successful money manifestation. Laser focus your thoughts on attracting money so that you are fully aligned, both inside and out. Change your way of thinking; instead of hoping you will attract money you will fully believe that you will receive it. With this transformation in mind-set you will be MUCH MORE likely to succeed with your money manifesting efforts! Attract money in abundance into your life today - download this album now and you could be listening within minutes and starting to make powerful changes within your mind to attract money into your life. This album focuses strictly on attracting money into your life and is part of our wider law of attraction range.